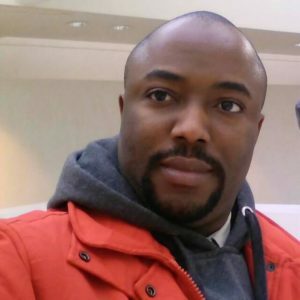 Olumide is presently a Research Fellow at the Nanochemistry Research Group, Department of Micro and Nanofabrication at the International Iberian Nanotechnology Laboratory (INL). His research focus is the synthesis, functionalization and characterisation of inorganic and hybrid nanocatalysts for clean energy technology applications such as semihydrogenation of acetylene, biofuel, carbon dioxide reduction to fuels & chemicals (F&C), low-temperature direct methane conversion to liquid F&C. Before joining INL, he was a Senior Lecturer at the Chemical Engineering Department, Universiti Teknologi PETRONAS (UTP), Malaysia. His Postdoctoral study was funded by the Mitsubishi Corporation Education Trust Fund at the Center for Biofuel & Biochemical Research, UTP. During the period he was a visiting Research Scientist to the Clean Energy Research Center, University of Yamanashi, Kofu, Japan. He is presently founding Associate Editor of Malaysian Journal of Catalysis and Editorial Member of The Open Materials Science Journal. He received his PhD, MSc, BEng from the University of Malaya, Malaysia, the University of Science Malaysia and the Federal University of Technology Minna, Nigeria, respectively.